For the third year in a row, Railway Minister Mamata Banerjee made an attempt to come out with the “aam aadmi” budget sparing the passengers and industry from fare and freight hikes and announcing the highest ever investment of Rs 57,630 crore, with 68 new trains. Taking the bilingual route to counter her critics! New Delhi: She is known to call spade a spade and take on anyone who dares to question her intellect. Railway Minister Mamata Banerjee did just that as she presented her third budget of the UPA-II government, her overall fifth, today. 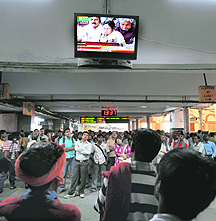 As expected, Mamata Banerjee presented a populist Railway Budget on Friday ahead of elections in some states. 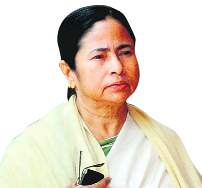 Her bias towards West Bengal provoked a protest in the Lok Sabha. She brushed it aside, saying “I am proud of my state”. The budget reflects the minister’s flawed concept of “social viability” as against the experts’ preference for economic viability in running the world’s second largest rail network. A new Shatabdi train between Ludhiana and New Delhi, a mechanised laundry unit at Chandigarh, a passenger coach terminal at Ludhiana, a ‘bridge factory’ and an Institute for Tunnel Engineering in Jammu and Kashmir are among the announcements for the region that figured in the Railway Budget on Friday. Even as the Opposition slammed Railway Minister Mamata Banerjee describing her Railway Budget today as a “fraudulent exercise”, Prime Minister Manmohan Singh and Finance Minister Pranab Mukherjee commended their Trinamool partner in the UPA for having presented a good budget despite a difficult situation. As Railway Minister Mamata Banerjee vowed to support the “common man” in her third annual Budget today, with a promise of Rs 57,630 crore investment in the rail network in the next fiscal year, it was her home state West Bengal that walked away with a major share of the pie yet again. The Railway Minister has done a commendable job. It will help weaken cost push element of inflationy. The budget is an exercise in deceit. It is cunningly juggling figures to show improved financial position of the PSU behemoth. This is an unrealistic budget. Where are the financial resources shown to put up the infrastructure to run so many trains. It is a routine budget, nothing sparkling, about this budget.